Treat your paint to a Mothers Showtime Instant Detailer sparkle that's wet and striking. 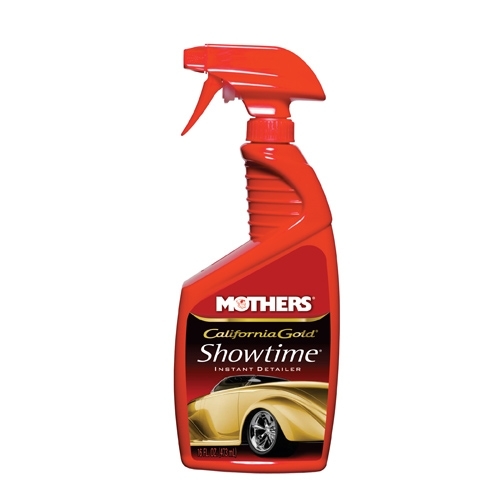 Whether you want to clear a layer of dust or prepare for the judges, use Mothers Showtime Instant Detailer. This unique formula will clean off fingerprints, smudges and dust, and hide minor imperfections and spiderwebbing. We didn't create this stuff with magic - it's designed with color enhancers and shine fortifiers, ready whenever you need your ride to look freshly detailed.